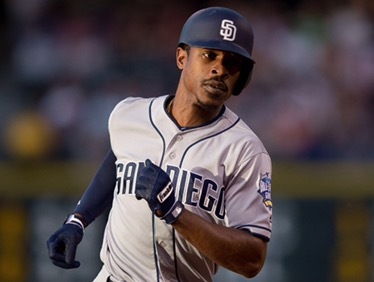 Interestingly, the Toronto Blue Jays came out of the woodworks and traded for Melvin Upton Jr, according to Ken Rosenthal. Shockingly, Upton was being targeted by rival AL East team, the Baltimore Orioles. Now, the veteran outfielder is having a nice bounce back year. In 92 games and 344 at-bats, the 31-year-old outfielder has batted .256 with a slugging percentage at .439. He has belted 16 homers and drove in 45 RBIs. In addition, he can play all three outfield spots, which he will most likely just play in left field with the amazing defensive guru, Kevin Pillar in center field. Upton can cover lots of ground with his speed in the enormous outfield in Roger Centre. Also, his speed does translate on the base paths, as he already has 20 stolen bases. Furthermore, this seems to be the end of Ezequiel Carrera tenure in Toronto. He is having a good year and some other team will claim him. Also, Upton adds insurance to the Blue Jays, as they are bound to lose both Jose Bautista and Edwin Encarnacion to free agency after this season and maybe the same with Michael Saunders. Saunders finally figured out how to produce at the plate, despite struggling against left-handed pitching, which Upton will steal his at-bats, as he hits southpaws and since Pillar is not doing to much at the plate this year, I can see Upton taking some of his as well. With Encarnacion and Bautista set to go, Saunders will be a cheaper option to retain. Why? Well this is one of the only years Saunders has really produced in during his MLB career. Will he get some money, yes, but not the boat. Now, Upton is not cheap. He has $5.63MM left on his salary for the present season, with $16.45MM still to come for 2017. Most figure that the Padres will remain paying some portion of his remaining money owed to him. Finally, the Blue Jays will send a Class-A prospect back in return. That prospect is Hansel Rodriguez. Previous Post What Did The Yankees Get For Chapman?